A spookily fun afternoon for all the family to enjoy. There will be live Entertainment, a fancy dress competition, spooky food, fun & games and much more, all to support Helping Hands Children's Charity. 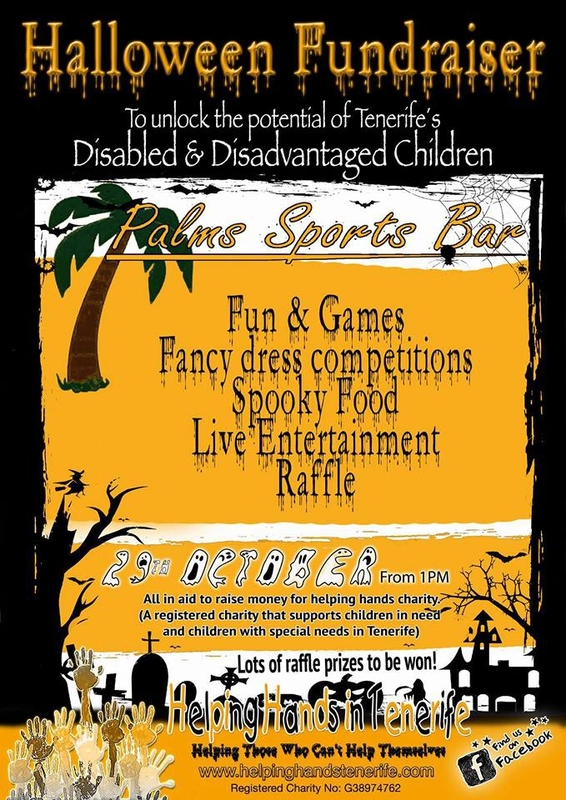 The event is at Palms Sports Bar in Adeje on the 29th October - be there or be scared!